Shaykh-ul-Islam Dr Muhammad Tahir-ul-Qadri will deliver his special address at Jawa-tul-Wida congregation through video conferencing from London today. All arrangements have been completed in this regard. His address will start at 12:30 pm PST before the Friday prayers. 15 thousand participants of the Itikaf City in addition to thousands of citizens will listen to the speech of Shaykh-ul-Islam. 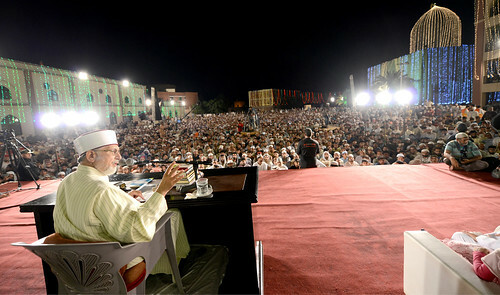 Minhaj.tv will broadcast the address live throughout the world.